Most companies do not have on-boarding plans and push new employees into the deep end. To compound a company’s on-boarding challenges, every year up to 25% of your staff are transitioning into other jobs and each one goes through their own, often hidden, on-boarding process. Your company may not have an on-boarding plan, but the employee does. If this job does not work out, they will quit, forcing you back to square 1 of the recruiting process. Transitioning people into new rolls is a relentless reality of business. Having a plan respects the people you have hired. 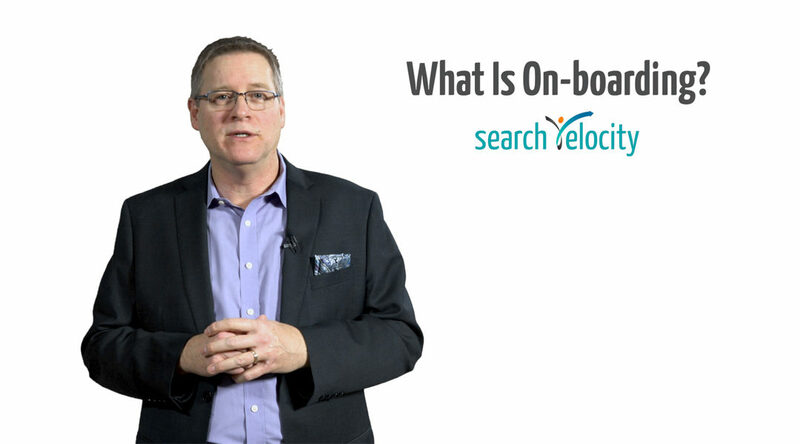 In this second of two videos where I describe what on-boarding is, why you have likely underestimated the number of staff impacted by it, and why your company should have an on-boarding plan. Missed the first video? Find it here. Kudos to Enable Education for their expertise in producing this on-boarding educational video. Enable Education makes the process very easy and expertly helped shape the narrative.